Just a few years ago, for you to get a “good” laptop you would definitely spend over $1000. In 2018, this has completely changed, thanks to competition and the advancements in the laptop’s market. Whether you are looking for a laptop to use at home or in the office, or you are a student, there are laptops within this price range that can meet the demands. Between $800 and $1000 there even a few laptops that can be used for gaming, music production and in other rigorous applications. In this review, we have a compiled a list of 5 laptops under $500 and 5 between $500 and $1000. While most of these laptops don’t feature the latest processors, there are several featuring Core i5 and i7 processor, these are pretty fast laptops. Is portability your major concern? Then a slim small-sized laptop will be your best bet. Usually, there are many aspects though the display size is high up on the list. The extra slim and lightest laptops measure 11 to 12 inches and weigh up to 3.5 pounds. For a perfect balance between portability and usability, pick a 13-14 inches laptop. If you don’t carry your laptop so often, then a 15 inches laptop will be quite okay. And if you’re looking for a machine for extreme gaming, then laptops 15 inches will be quite okay. Some gaming laptops are heavy and you cannot go carrying them around. The most common laptop screen sizes are 13 inches, 15 inches, and 17 inches. Of course, the smallest ones measuring between 11 inches and 13 inches forego certain features like DVD drives to assume a lighter and thinner chassis. Some of these laptops often come with low-resolution displays. Mid-range laptops easily qualify as desktop replacements. Well, some offer large screens and are light enough for portability. Most laptops with large screens pack in them high-resolution displays and pretty powerful hardware. Laptop displays resolution range from 1366×768 to 1920×1080 with some going beyond that. And the higher the resolution, the better the image quality delivered. For those who type a lot, it makes more sense to get a laptop with a comfortable keyboard, not one that packs all the keys under the sun such that you have to go through hell hunting for one key. The keyboard should have a comfortable key layout with plenty of space between the arrow keys. On pressing any key, the keyboard should offer solid tactile feedback. Still on the keyboard, if you can find a budget laptop featuring a backlit keyboard, the better. That way, it’s possible to use your machine in low-lit rooms. Although it isn’t the deal breaker, if you plan to use your laptop on-the-go, then consider getting a machine with a battery that can last at least 6 hours on full charge. The best thing about this is that you can always upgrade from a six to a nine or 12 cell battery for more juice. But then, the screen lighting, the number of programs you run at any given time and more aspects also determine how long the battery lasts. RAM is the memory of your laptop and the more of it you have, the higher the number of programs your computer can run simultaneously. Standard laptops have 2GB of RAM and these are the cheap options you’ll find out there. They’re good for multitasking but will free if you run heavy programs. If you engage in heavy tasks like extreme gaming, then you’ll need 4GB and more of RAM for applications to run smoothly. The performance of a laptop is determined by the RAM and the processor. Dirt-cheap laptops sport low-end processors. And while these will be perfectly okay for browsing and running a few light programs, they’re terrible at multitasking. Intel and AMD are the two major processor manufacturers, but Intel processor laptops are more common. Low-end laptops come with duo-core processors and while they’re still good for multitasking, the performance will suffer if subjected to extreme gaming. For the best performance, it’s prudent if you choose a laptop built with Core i3, Core i5, and Core i7 processors. Traditional laptops come with hard disk drives (HDD). Although HDDs are relatively cheap and capable of processing large files fast, they’re noisy and consume lots of power. New laptops models come with Solid State Drives (SSD) which improve the laptop load time, consume much less power and are more reliable than HDD. Don’t pick a laptop with anything below USB 3.0. Even the relatively cheaper laptops are employing USB Type-C, which is the latest version. It should have at least two of these USB ports. Wi-Fi connectivity is another feature to look out for when purchasing your laptop. 802:11ac Wi-Fi is the new standard. Bluetooth is yet another basic feature all laptops have. For wired internet connectivity, pick a laptop featuring an Ethernet port. Also, go for the laptop with an HDMI port so it’s easy to connect to the TV and other peripheral devices. If you can find a budget laptop featuring an inbuilt SD card reader, then you can avoid the trouble of hooking in a data cable every time you want to transfer or view photos and videos using your laptop. You’ll come across two major types of graphics cards – the integrated (built-in) and the dedicated graphics cards. For simple everyday tasks such as video watching and viewing photos, laptops integrated with graphics card are ideal. If you plan on running intensive tasks such as, graphics design, video editing, and gaming, then you are better off going with a laptop that uses a dedicated graphics card. 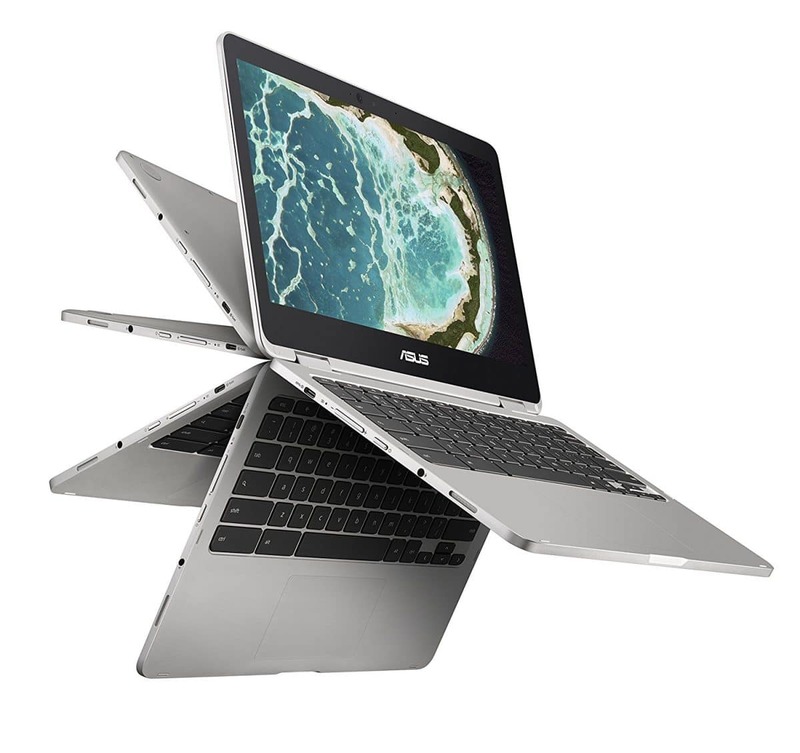 Why we like it: The Chromebook can flip to assume a laptop, or even a tablet. Its thin and lightweight yet powerful enough to handle the rigors of everyday tasks. ASUS C302 commands a 360° hinge design that makes it possible to flip it into whatever mode you want – laptop, tablet or even the stand and tent modes. The laptop packs a sleek and lightweight design, a solid Corning Gorilla glass display, is 13.77mm thin and weighs 2.56 pound, properties that make it highly portable. This Chromebook is powered by Intel Core 2.2GHz processor and has 4GB of DDR3 RAM that renders it extremely powerful. It also uses Chrome OS which compared to Windows OS, is super-fast. As simple as it appears, ASUS C302 has an impressive 12.5-Inch Full HD 1920×1080 Embedded DisplayPort Wide View anti-glare panel display complete with light sensor meaning it’ll deliver brilliant visuals. Featuring a full-size, once piece highly responsive Chiclet keyboard with a remarkable 1.4mm key travel, you’ll be in for comfortable natural typing experience. The keyboard has a palm rejection features to eliminate any cursor movement mistakes. ASUS C302 has USB 3.1 Type C that you can use to charge your Chromebook or even transfer large chunks of data. It also comes with a MicroSD card as well as a standard audio jack. The Chromebook allows you to stay connected and productive whether online or offline. To proof your future, the laptop has been integrated with the latest and faster 802.11ac Wi-Fi standard and Bluetooth 4.0. It also comes with 1 lithium battery capable of lasting up to 10 hours. Slide this stylish and light laptop in your backpack and use it to handle your projects or entertain yourself on-the-go. If you’re more inclined towards Chrome OS-powered laptops that can assume tablets, the ASUS C302 is a solid one. The 64GB of SSD help the Chromebook boot fast while at the same time significantly reducing power consumption. Why we like it: The thin design, the smooth visuals and the connectivity are, without a doubt plus. Powered by the 8th Gen Intel Core i5 1.6GHz processor (Turbo-boost up to 3.4GHz), ASUS VivoBook F51OUA is a 15.6-Inch laptop with 8GB of RAM. You can be sure it delivers outstanding performance. The laptop has a 1TB HDD, which, although not comparable to SSD, provides sufficient storage space for your music, videos and other files. It commands an ultra-thin nanoEdge bezel plus a Full HD 1920×1080 resolution display that outputs sharp brilliant images. The laptop is super thin and light weighing only 3.7 pounds which means you can carry it with you wherever you go. And with the Intel UHD 620 graphics and the ASUS visual technology, you’ll be in for smooth eye-popping visuals. Equipped with a USB 3.1 Type C port, you can now transfer data at insane speeds. It also has USB 3.0 and USB 2.0, HDMI and SD card ports that let you hook in multiple devices. ASUS VivoBook F51OUA is also equipped with the latest and ultra-fast 802.11ac Wi-Fi standard that lets you connect to the wireless internet wherever you’re. With this laptop, you can enjoy up to 5 hours of uninterrupted entertainment and browsing. 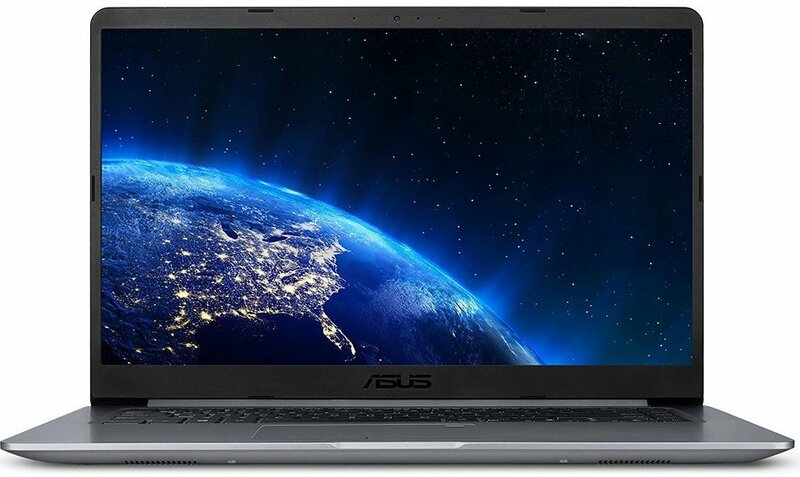 ASUS VivoBook F51OUA is an excellent laptop with incredible speeds and amazing connectivity. It can handle a couple of extreme tasks smoothly. Why we like it: It’s a tough yet lightweight laptop with a battery that can last up to 11 hours between charges. Samsung Chromebook 3 employs a simple yet durable and powerful design with a robust frame that can handle the rigors of everyday life. This laptop is powered by Chrome OS and has your Google cloud account protected with built-in security. You’ll receive free updates from time to time to ensure you’re well protected when browsing or working on your projects. And despite that, the laptop is incredibly lightweight weighing only 2.54 pounds. Just slide it into your backpack and carry it with you wherever you go. The laptop has Intel Celeron Processor N3060 at 1.6GHz processor speed and 4GB of RAM, properties that render it a powerful machine. It has a 64GB SSD perfect for storing a couple of your files and increasing the boot time and reducing battery power usage. 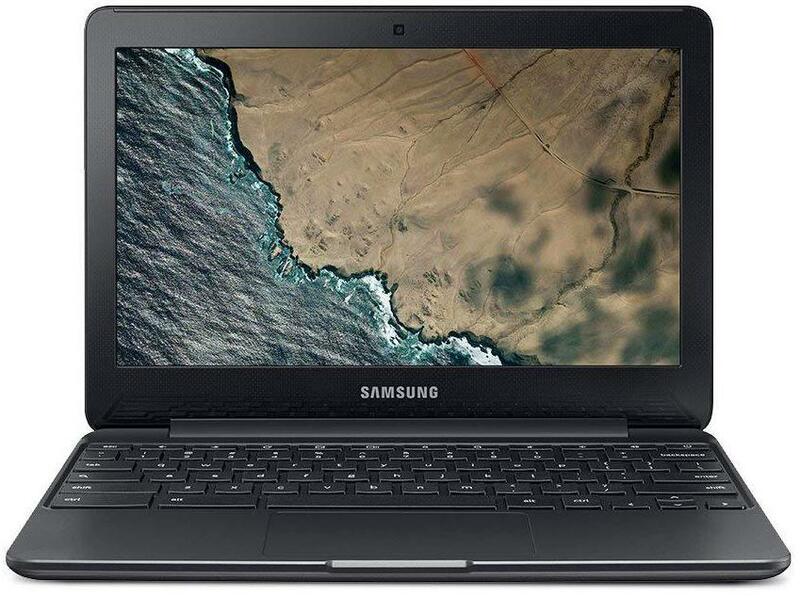 Samsung Chromebook XE500C13-K06US also has an anti-reflective 11.6-Inch 1366×768 resolution display lets you enjoy crisp and bright visuals with no glare. Samsung Chromebook 3 boasts a water-resistant keyboard and is built to survive accidental spills. Busy in the kitchen but you have something else to take care of online, carry it with you there and use it as you prepare your meals. Even better, the laptop comes with a long-lasting battery capable of providing juice for up to 11 hours. Carry this baby anywhere you go and check your email or watch YouTube during your lunch breaks. Use the USB 2.0 and USB 3.0 to connect your multimedia devices for data transfer and additional entertainment. It also has Wi-Fi connectivity so you can browse and send files as you want. If you’re looking for a simple laptop that capable of surviving kid’s hands and a little abuse, then Samsung Chromebook 3 is ideal. Why we like it: The flexible connectivity and high performance are two things we love about HP Elitebook 8470p. HP Elitebook 8470p uses Intel Core i5 2.60GHz processor. The laptop also comes equipped with Intel Turbo-Boost technology so you can boost the processor’s speed to 3.30GHz for even better performance. It comes with an 8GB RAM which we consider way above average for a budget laptop. Combine that with the 128GB SSD and you can expect the laptop to boot and load your programs remarkably fast. 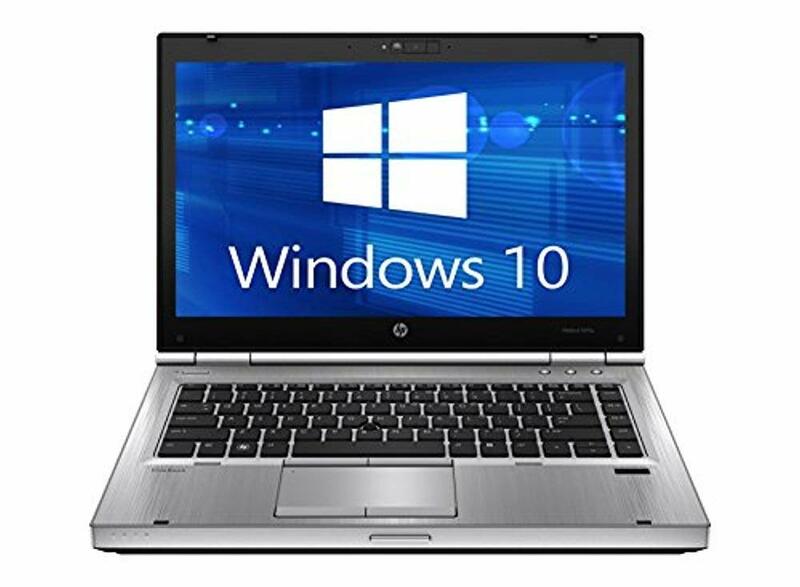 HP Elitebook 8470p has a 14.1-Inch diagonal back-lit antiglare 1366×768 resolution display plus Intel HD Graphics 4000 that render bright visuals for your movies or games while still maintaining the 16:9 aspect ratio. What’s more, the laptop comes integrated with DVD-RW that you can use to play your stock CDs and DVDs. HP Elitebook 8470p is the true definition of flexible connectivity. It comes integrated with 2-3.0 USB port, 1-2.0 USB port, and 1-eSATA port. The laptop also has a VGA port and HDMI port that you can use to connect to the TV and other devices. Equipped with 802.11bgn Wi-Fi standard, Elitebook 8470p allows you to browse the internet wherever you’re. It also measures 4.65 pounds, light enough to carry around as you work your projects and browse the internet. And if you have a wired internet connection, then easily connect to it using the Ethernet port. Other ports include a headphone jack, modem port, and microphone port. HP Elitebook 8470p is a superb laptop for those who’re looking for windows laptop that strikes a balance between portability and usability. Why we like it: HP 360 2-In-1 is a high-power laptop that can assume several modes, laptops and tablet included. 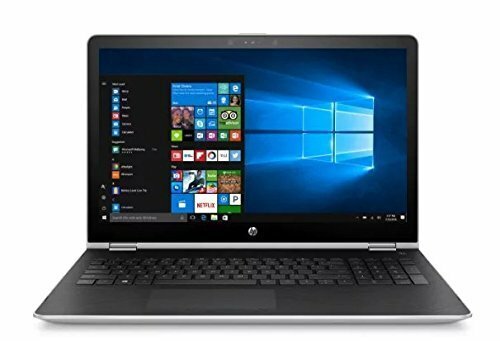 Although it’s only a couple of bucks above the 500 dollar mark, we would hate to leave Flagship HP 360 2-In-1 Convertible Laptop out. The laptop has a 15.6” diagonal IPS panel 1920×1080 resolution display that delivers stunning visuals. Even better, the display is touchscreen and comes with a stylus pen. Like the name suggests, the laptop has a 360-degree hinge that makes it possible to flip and fold in four modes. If you’re in squeeze spaces like an airplane, switch it to the tent mode. Want to get some serious work done? Tune to the laptop mode. To scroll and watch a movie, turn it into a tablet. It’s pretty cool. Built with Intel Core i5 2.5GHz processor, you can be guaranteed it’s a high-performance laptop. It also comes integrated with the Turbo-Boost technology so you can boost the processing speed up to 3.10GHz for even more power. Flagship HP 360 2-In-1 has 8GB RAM and 128GB SSD, which ensure the laptop boots and loads your programs in seconds while consuming minimal power. For excellent video pictures, this laptop comes equipped with Radeon 530 complete with premium 2GB DDR3 dedicated video graphics. Flagship HP 360 2-In-1 comes integrated with a couple of ports that you can use for data transfer and more. Included is 1-USB Type C, 2-USB 3.1, HDMI, headphone output and a microphone input port. And for maximum comfort when typing, the laptop has a full-sized island-style keyboard featuring a numeric keypad. With the newest and fastest 802.11ac Wi-Fi standard, you’re step away from browsing and sending files at incredible speeds. HP 360 2-In-1 weighs 4.72 pounds meaning you can easily shove it into the backpack and carry it with you. 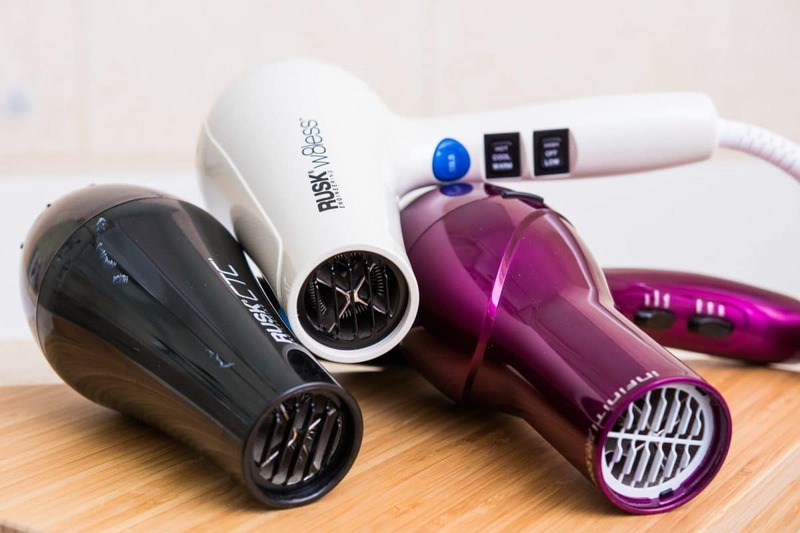 It comes with a 3-cell lithium battery that can last up to 8 hours between charges. Although slightly new, HP 360 2-In-1 has brighter days ahead. 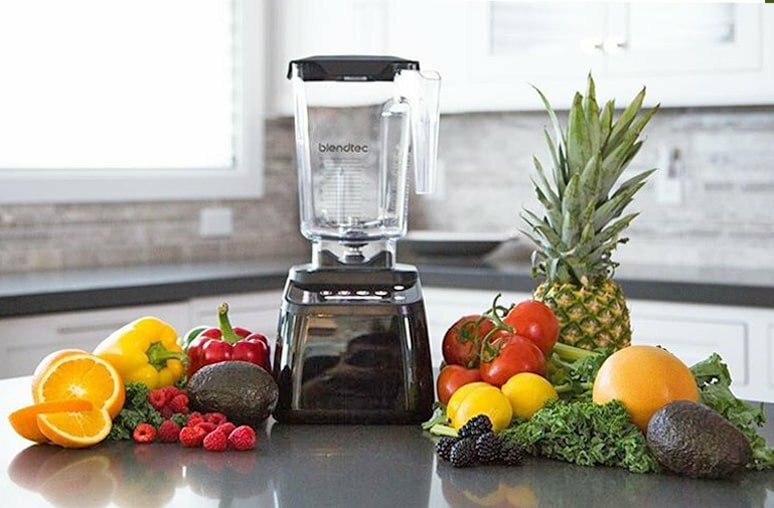 We believe it’s an excellent investment combining high performance and function. Why we like it: Designed majorly for gaming, this laptop is super powerful is the perfect deal for those who don’t mind relatively heavy laptops that can run extreme programs. If you want a laptop that can handle extreme gaming or intense applications like designing and video editing, then a laptop designed majorly for gaming purposes is your best deal. 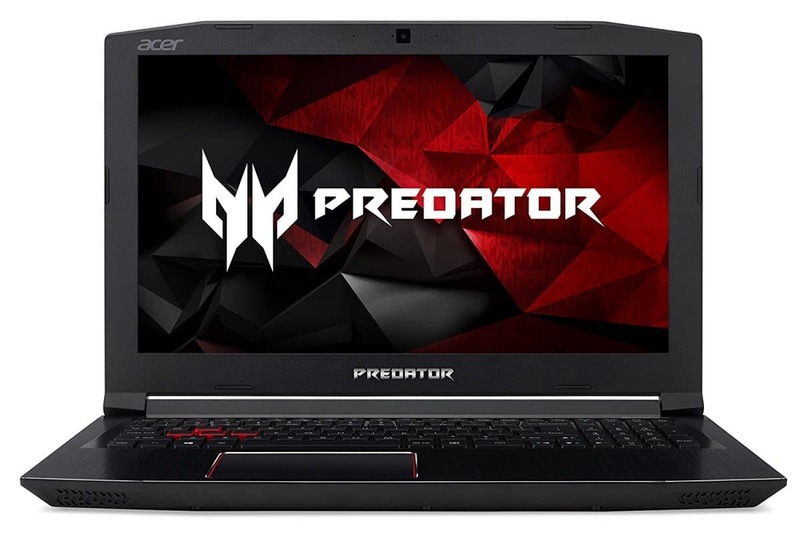 Acer Predator Helios 300 is a 15.6″ laptops with a full HD 1920×1080 widescreen LED-backlit IPS display and will output sharp visuals where color accuracy matters most. But the laptop weighs almost 6 pounds, which means it trades its portability for the powerful features. Considering its weight, it would be a perfect replacement for your desktop if you want something you can carry around the house. With an Intel Core i7 7700HQ 28GHz processor and a remarkable 16GB DDR4 RAM, Acer Predator Helios laptop is a workhorse and will load heavy programs without lagging or stuttering. And to further enhance the performance, the laptop features Turbo-Boost Technology to boost it up to 3.8GHz. It also has 256GB SSD which improves the boot time and reduces power consumption. Acer Predator Helios 300 comes equipped with NVIDIA Geforce GTX 1060 featuring 6GB of a dedicated graphics card. 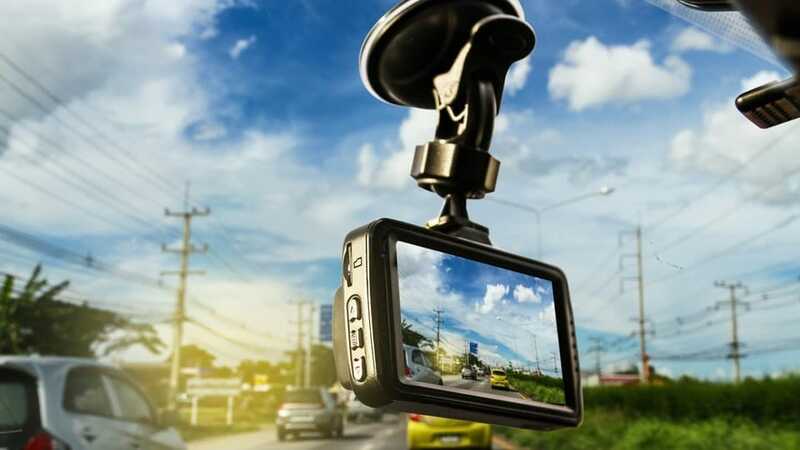 It provides the force to optimize your game settings and to easily share your moments online. Acer Predator Helios 300 offer flexible connectivity. It comes with 1 HDMI 2.0 port perfect for video output. Also integrated is USB 3.1 (Type C) capable of flash data transfer at speeds of up to 5Gbps. There’s also 1-USB 3.0 port and 2- USB 2.0 Ports. Acer Predator Helios 300 comes with a 4-cell Li-ion 3220mah battery that can last up to 7 hours, but not when running intensive applications. While you might not describe it as portable, the freedom of using the laptop anywhere you around your home is unprecedented. This laptop supports the new and fast 802.11ac Wi-Fi standard for wireless connectivity. It also employs Bluetooth 4.0 and has 10/100/1000 Gigabit Ethernet port for wired internet connectivity. For those who run intensive programs and wouldn’t care much about the weight and portability, Acer Predator Helios 300 is your best ally. Why we like it: This MacBook is lightweight, super portable and has a long-lasting 9 hours battery. It also uses SSD which knocks up the boot time. Apple MacBook Air commands a thin, light yet durable unibody design and is powerful enough to handle the various tasks thrown at it. 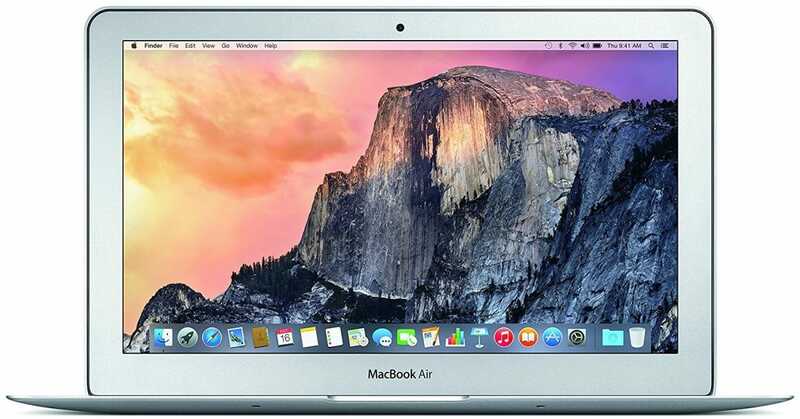 With a 1.5GHz duo core Intel Core i5 processor and a 4GB RAM, Apple MacBook Air MJVM2LL/A allows you to multitask. If you want to run highly powered programs like gaming, then you can boost the processor up to 2.7GHz and the upgrade the RAM up to 8GB for improved performance. Weighing only 2.38 pounds the laptop is light enough for portability. Simply slide in the backpack or the briefcase and take it anywhere. It comes features an 11.6 inches diagonal LED-backlit glossy screen with a 1366×768 resolution. The screen is brilliant enough and produces good color images although we consider that a major flaw considering there are relatively laptop cheaper models with IPS matte finish displays to display better visuals. MacBook skews away from the slow hard drive disks to incorporate fast PCIe-based flash storage. Packing 128GB SSD, which is several folds faster than the standard HDD, the laptop will take less than 10 seconds to boot. Apple MacBook Air MJVM2LL/A features a couple of ports that allow for flexible connectivity. It has a Thunderbolt 2 port integrated which is capable of delivering data at 20Gbps, twice the speed of the traditional Thunderbolt ports. The laptop also comes with a powerful battery that can last up to 9 hours when browsing the internet, 10 hours of iTunes movie playback and up to 30 days of standby time. Since it’s lightweight and has a long-lasting battery, it’s a perfect laptop to use on-the-go. Regarding wireless connectivity, the laptop comes with the latest standard 802.11ac so you can surf and stream videos smoothly online. It also has Bluetooth 4.0 so it’s possible to pair with other devices. If you like making video calls, then you’ll enjoy the FaceTime HD camera. The dual microphones will amplify your voice while the stereo speakers will boost the sound of your music and videos. 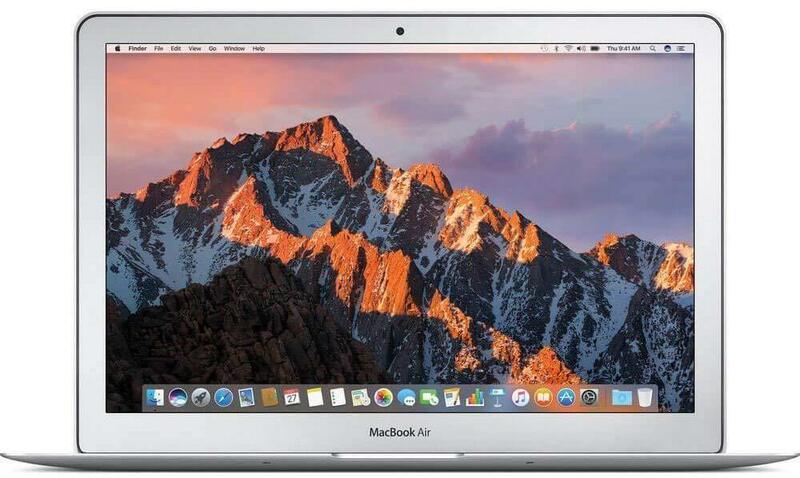 Apple MacBook Air MJVM2LL/A is an excellent high-performance laptop for general purpose use. And it gets better in that you can boost the processor speed as well as the RAM if you want to run heavy applications. Why we like it: It’s lightweight, portable yet very powerful and has a battery lasting up to 12 hours between the charges. Apple MQD32LL/A MacBook Air comes with a 13.3 Inches LED-backlit display, which, unlike the 11.6” Apple MacBook Air MJVM2LL/A strikes perfect balance between usability and portability. It offers a middle ground in terms of how comfortable it’s to use the laptop. For a laptop with a 13.3″ screen, the laptop is incredibly lightweight weighing only 2.96 pounds and with an ultra-thin 0.68-inch unibody design. Slide it in your backpack or briefcase and use it on-the-go. Apple MQD32LL/A MacBook Air has two zippers that allow the machine to slide in and out easily without scratching. The bottom comes wrapped with a foam padding that protects it from shock. It’s powered by an Intel duo core i5 processor with a turbo-boost up to 2.9GHz for much more power. Besides, it comes with an 8GB RAM, which works in collaboration with the RAM to load the programs fast. Apple MQD32LL/A MacBook Air also comes with fast 128GB SSD storage which provides 2.5 times faster boot times compared to the traditional HDD. Flash SSD storage also significantly reduces the power consumption, which contributes to additional battery runtime. Apple MQD32LL/A MacBook Air has a long-lasting battery that packs enough juice to run you up to 12 hours. On the train or airplane? Keep working on your project without worrying about any delay. The laptop supports 802.11ac Wi-Fi standard and allows you to browse the internet anywhere provided there’s Wi-Fi connectivity. What’s more, this 13.3” Apple MacBook comes with Thunderbolt 2 Port capable of delivering data faster than USB 3.0. It can move data at intense speeds of up to 20Gbps. It also features dual mics, a headphone jack for audio out and USB 3.0. It lacks an HDMI port. Apple MQD32LL/A MacBook Air is a high-performance laptop that strikes a perfect balance between usability and portability. Why we like it: The thin design, lightweight and portable design and the long battery life, of course. With a 13.5″ screen, Microsoft Surface Laptop strikes the perfect balance between performance and portability. It has a sleek, ultra-thin and super-lightweight design weighing only 2.76 pounds. It’ll easily fit in your bag for use when traveling. The laptop goes a step further to employ a beautiful touchscreen complete with a thin bezel. Enjoy true-to-life images on a 13.5-Inch 2256×1504 resolution PixelBay Display, which way above the 786p and 1080p resolutions the standard laptops offer. 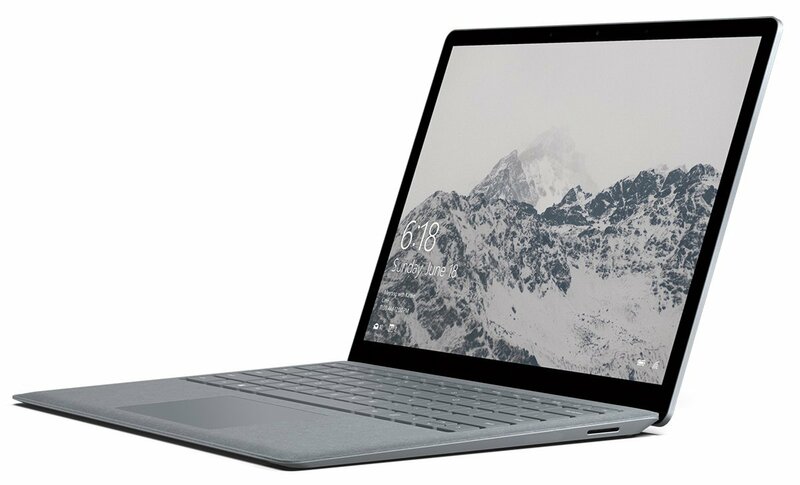 Microsoft Surface Laptop is powered by a 3.12GHz 7th Gen Intel Core i5 processor and has 4GB RAM, which provides the necessary power to handle the rigors of everyday tasks. It also boasts a 128GB SSD storage drive which helps improve the laptop’s boot times and significantly reduces the power consumption. Designed for Windows 10 S, the laptop combines security and high performance. Both the windows and office come with OneDrive, a feature that helps keep your content safe in the cloud and further enhance the speed and performance. And for your comfort, it comes with high quality keyboard covered with classy Alcantara fabric that guarantees natural typing as well as incredible trackpad experience. For those who type a lot, a Microsoft Surface Laptop will be your perfect companion. Surface Laptop is among the few budget laptops with long battery life. With this, you can enjoy up to 14.5 hours of video playback. What better way to complete your projects, browse and entertain yourself while on-the-go than with this laptop? On wireless compatibility, this laptop uses the 802.11b, 802.11.11g, and 802.11n that allow wireless internet connection. But considering that 802.11ac is the latest wireless network protocol, this is a bit of a bummer. Microsoft Surface Laptop is the perfect replacement for a desktop PC and offers comfortable typing experience and excellent performance. Why we like it: It’s strongly built, extremely powerful yet it maintains a light portable design. We present you another devastatingly powerful laptop designed majorly for gaming but can handle the most intensive operations. MSI GV62 8RD-200 boasts a 15.6” Full HD LCD IPS panel display that delivers vibrant images for gaming and other heavy applications. Integrated with the 8th Gen Core i5 2.3GHz (turbo-boost to 4.0GHz ) and 16GB RAM, this laptop is a workhorse. The laptop also comes with a 1TB HDD, which provides enough space for your files. It also comes equipped with powerful NVIDIA GTX 1050Ti graphics that not only enhance your gaming experience but also make it possible to share and stream your videos. The laptop is equipped with new Intel Optane memory technology that will see your games, applications & files load and open exceptionally fast. MSI GV62 8RD-200 is your ideal machine for those extreme applications like gaming, video editing, and graphic design. Equipped with MSI’s exclusive Cooler Boost Technology, the laptop unites both cooling and performance. No matter how extreme the applications get, the laptop’s dedicated thermal solutions will keep both the CPU and GPU performing optimally. In its design, the laptop uses MSI’s exclusive brushed cover design that makes it robust enough for gaming while still remaining lightweight. It weighs 4.8 pound, which is remarkable for a gaming laptop. MSI GV62 8RD-200 comes with a high-quality keyboard with enhanced responsive and tactile feedback for optimal comfort when gaming and carrying out other operations. Even better, the keyboard is backlit making it possible to use the machine in low-lit settings. The laptop also features 1-USB 2.0 port and 2-USB 3.1 Gen Type C ports via which you can connect your mouse and transfer data at lighting fast speeds. It also comes with Wi-Fi connectivity and Bluetooth. Use the HDMI port to connect your laptop directly to your TV for video output. The laptop comes integrated with DisplayPort and audio output ports. 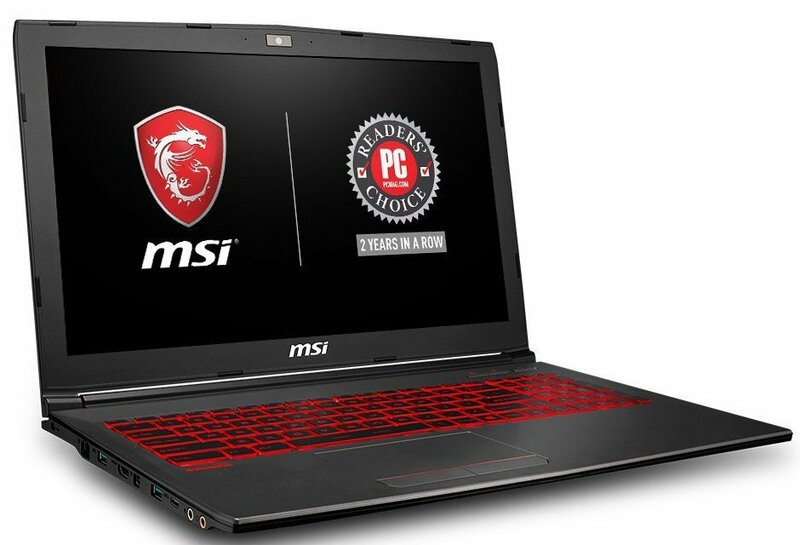 For those who handle extreme operations like gaming and graphics design, a gaming laptop like MSI GV62 8RD-200 will offer the best performance. If you have a desktop and you want to complement it with a laptop that you can use on-the-go, then you must find one that’s simple to use. The perfect choice would be one with an interface similar to your desktop PC. And that’s particularly crucial if you have no time or patience to learn how a new interface works over time. Laptops come in different price ranges and the ones with sophisticated features will cost a premium. But you can get really quality laptops under 300, 500 and 1000 dollars. It all depends on your budget. If you type a lot, then you want a laptop with a comfortable keyboard. An ideal keyboard has a proper layout of the full-sized keys. It’s also possible to find relatively affordable laptops with backlit keys so it’s possible to use in the low-lit environments. It doesn’t matter if you use the laptop near a power outlet or away from home, the battery for a new laptop should last a couple of hours so you can use it away from the power source. 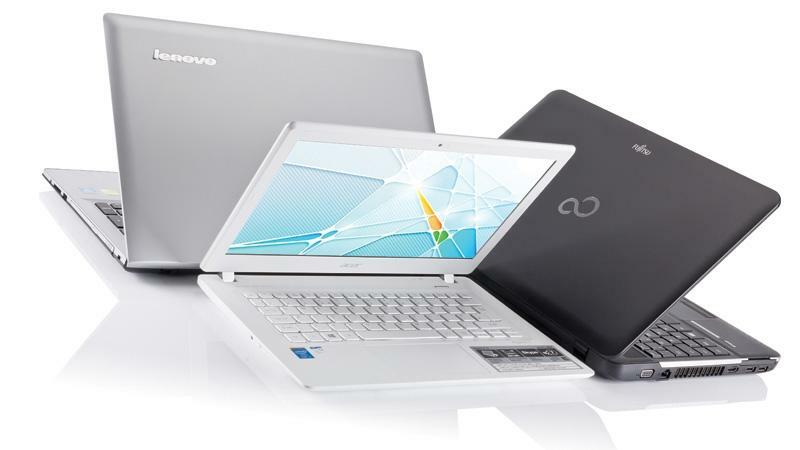 There are three most popular laptop operating systems – Windows OS, Mac OS, and Chrome OS. Well, Chrome OS is increasing in popularity by the day as we’re seeing more laptops incorporating it. Laptops that run on Mac OS come at a premium but you can get a few cheap high-quality options. For the windows laptops, you have a sea-full of budget laptop options to choose from. The Chrome OS has made the competition in offering affordable laptops more intense in that you’ll find dirt cheap but quality units out there. But unlike the Mac OS and Windows OS laptops, machines powered by Chrome OS are slightly restrictive regarding how much you can do. On the bright side, Chromebooks are pretty solid and secure just like the Mac OS laptops. For a long time, Hard disk drive (HDD) has been the top laptop file storage media. If you save lots of media data, then a laptop with 500GB or 1TB capacity will be your best bet. Today more and more laptops feature Solid State Drives instead of HDD. If you can find an SSD machine at your budget, then by all means, go for it. As technology advances, we’ve experienced immense development in the laptop designs. Traditional laptops have screens that fold towards the keyboard. Some are now touchscreen. Now, there are laptops whose touchscreen turn all the way around to assume the shape of a tablet, popularly known as 2-in-1 laptops. Bluetooth and Wi-Fi connectivity are basic components of a laptop. 802:11ac is the latest and fastest Wi-Fi standard. Some laptops also come with Ethernet jacks for wired internet connectivity. It would be a major blunder if you ignore USB ports and HDMI ports. Your next laptop should have USB 3.0 or USB Type C, at least 3 of them. An HDMI port is integral for video output between the laptop and your TV. The laptop size and display size the same. The screen size should be large enough for optimal comfort when working, but not too large to hurt portability. About 12 inches is okay but 13-14 inches strike the balance between portability and usability. Powerful laptops aren’t necessarily the high-priced ones. If on a budget, there are really good offers that perform exceptionally well you can land right here. We hope you’ll find a great laptop capable of withstanding every task you throw at it.